My new blog is up. Hope you enjoy reading it as much as you have this one! 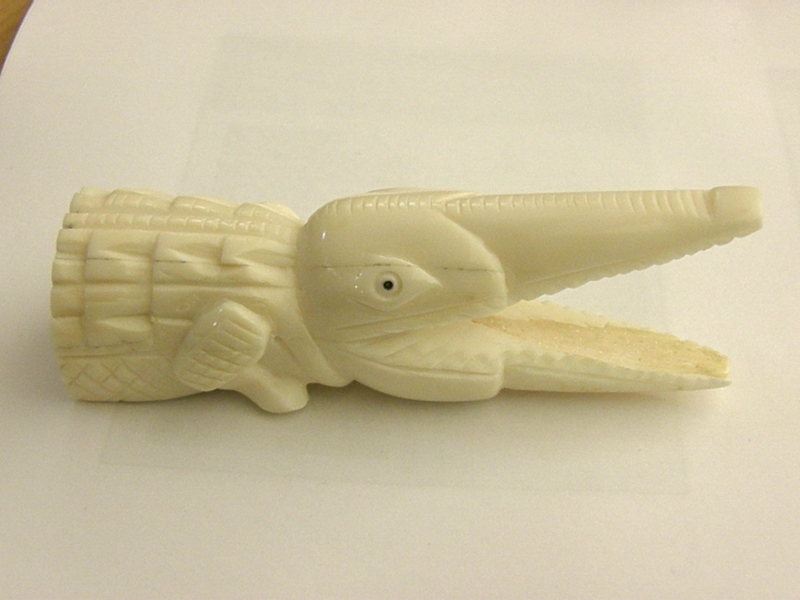 Today is my last day as a curatorial trainee at Manchester Museum. I will be starting a new blog very soon on how I am working towards my AMA and the work I will be doing in Museums as a result. I hope you’ve enjoyed reading this blog, and watch this space for my new blog address. Friday was my last day in the Entomology department as a funded HLF biology curatorial trainee, so I decided to photograph some neotropical specimens. Dmitri still wants me to come back as a research volunteer to work on the Dermaptera collections, so I’ll be doing that until I can find paid work. For now, however, this post is about some of the specimens I’m familar with as a result of spending my childhood in Belize. I figure it’s a nice way to close the book on my time here. Morpho butterflies. Probably one of the most famous neotropical insects, though many people do not realize there are many different species. “Morpho” is the name of the genus, and not all Morpho butterflies are blue. 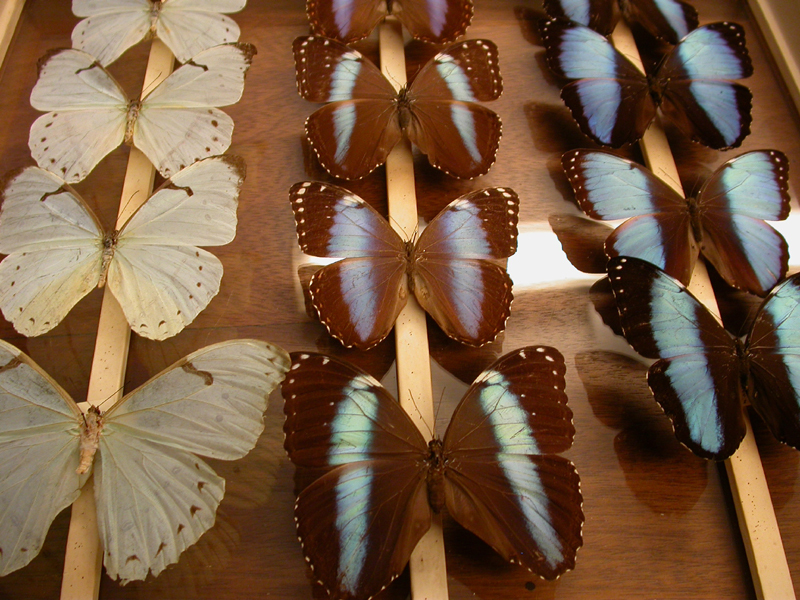 Some, such as Morpho laertes in the second picture, are white. The shining blue colour is not caused by pigmentation, but by the way the scales on the Morpho’s wings reflect light at different layers. The resulting effect looks almost holographic. 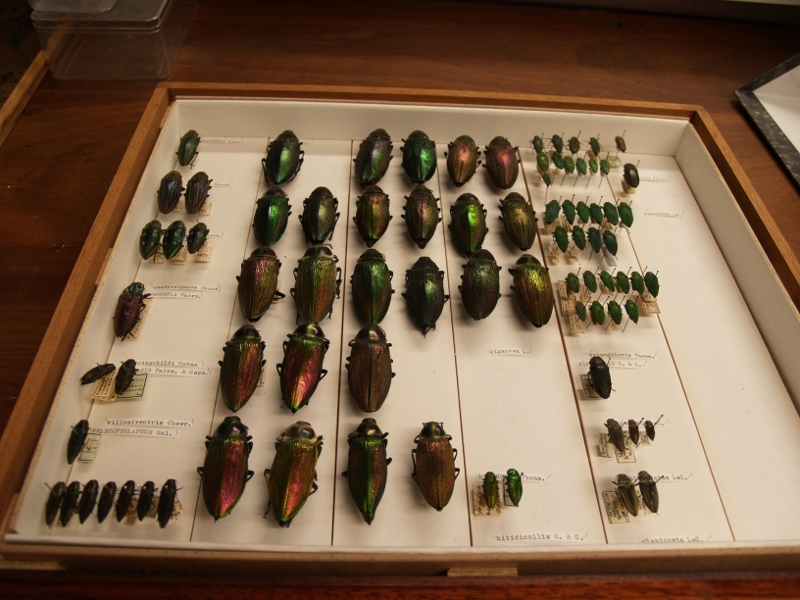 Buprestidae, or jewel beetles are among the largest families of Coleoptera, with close to 15,000 species worldwide. 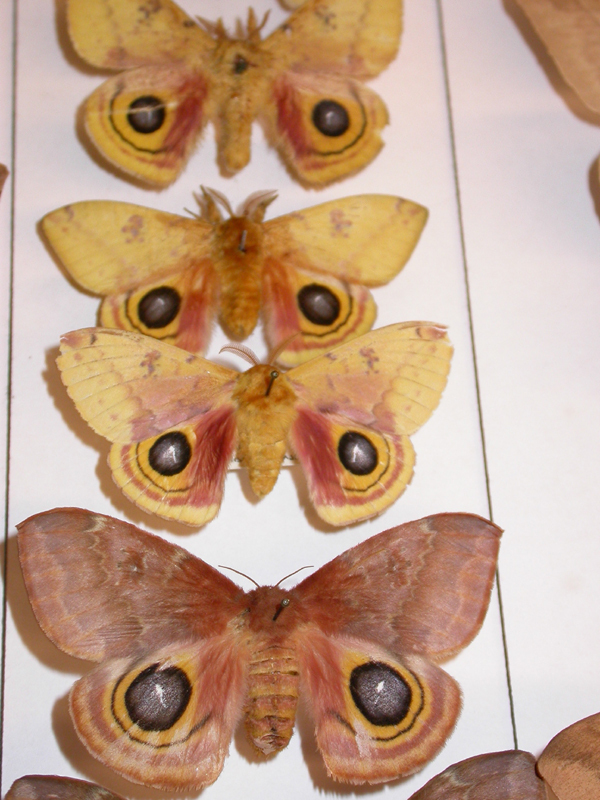 Automeris moths from the family Saturniidae. This one is Automeris io. The caterpillars of these moths have urticating hairs all over them that can deliver a nasty sting! My mother closed her hand around one once when she was gardening and had a caterpillar-shaped welt on her hand for a few days. Giant Helicopter Damselfly: I saw one of these last time I was in the tropics. As their namesake indicates, they do indeed look like hovering helicopters. These insects feed on spiders and hunt by pulling the spiders out of their webs by using their strong forelegs. Well, that’s all for now. I have two days of my traineeship left. I’m still trying to decide whether to continue with this blog or create a new one. Every Wednesday for the past few weeks my volunteer Veronica and I have been cleaning and assessing the condition of the botanical fluid specimens in the spirit store. 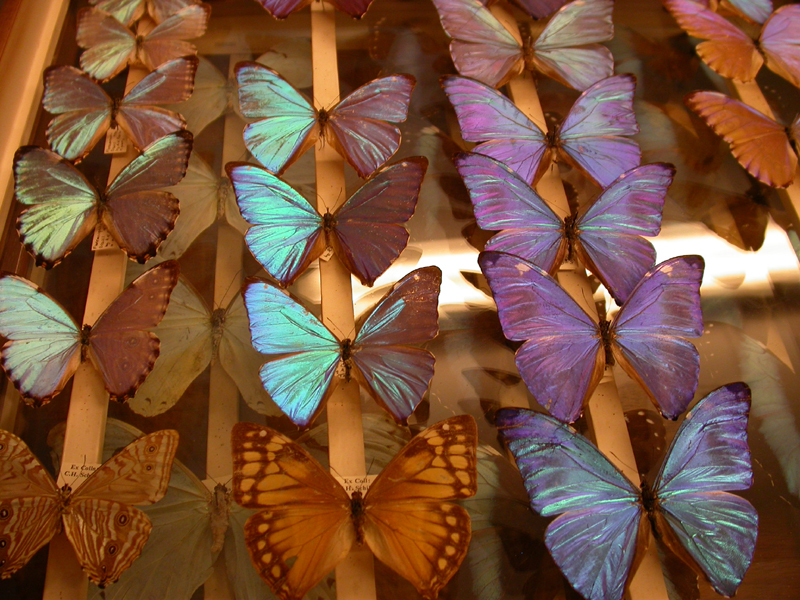 Many of the specimens have not been topped up since the 1930s. Some are in extremely poor condition and most likely cannot be restored. Others, like the pineapple below, however have been quite hardy and can be rehydrated and topped up. 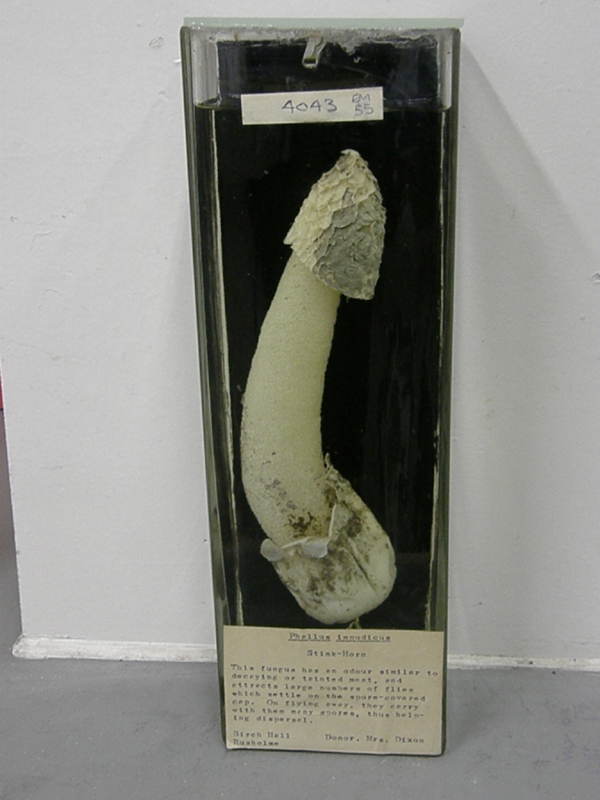 Fungus and lichens are probably the most likely candidates for survival after drying up. 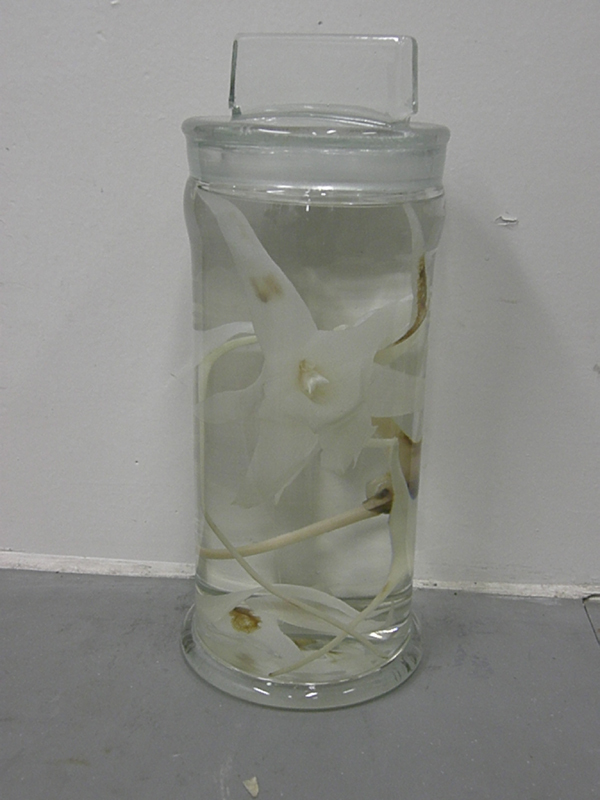 The specimen below is one of the few that has not suffered from evaporation. A few specimens had no labels. 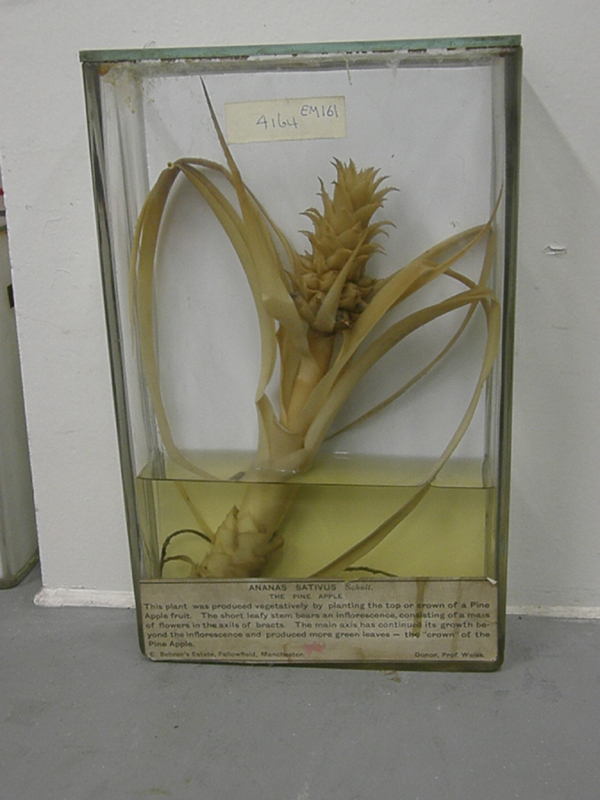 Thanks to the lovely people at Kew Botanic Gardens, we were able to determine that this specimen was a type of algae. 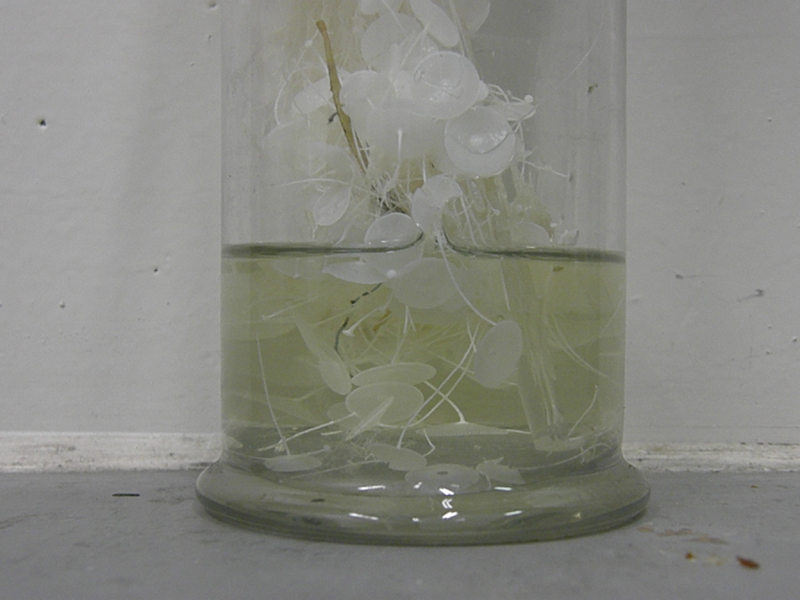 The salvageable specimens will be rehydrated and topped up once we have completed the inventory. Hopefully a few of them will go on display in the forthcoming new gallery! On Tuesday and Wednesday I attended a course at Lancashire Conservation Studios on how to identify keratinous and osseous materials. The course (which was taught by Dr. Sonia O’ Connor) was so intensive that I couldn’t possibly touch on everything we covered in one blog post, but here are a few of the things we learnt. 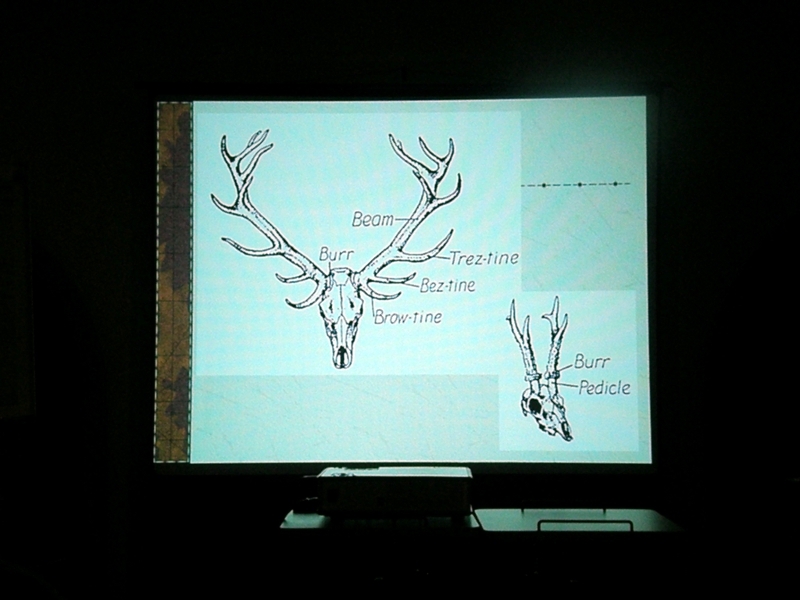 The first lectures were on how to tell the basic differences between antler and bone. One of the most basic ways to tell via a cross section is that longbones have a hollow cavity where the bone marrow once sat, and antler has a spongy material all the way through it. Of course, this becomes harder to discern when the bone or antler is fashioned into an object, or the spongy material in the middle of the antler is removed. 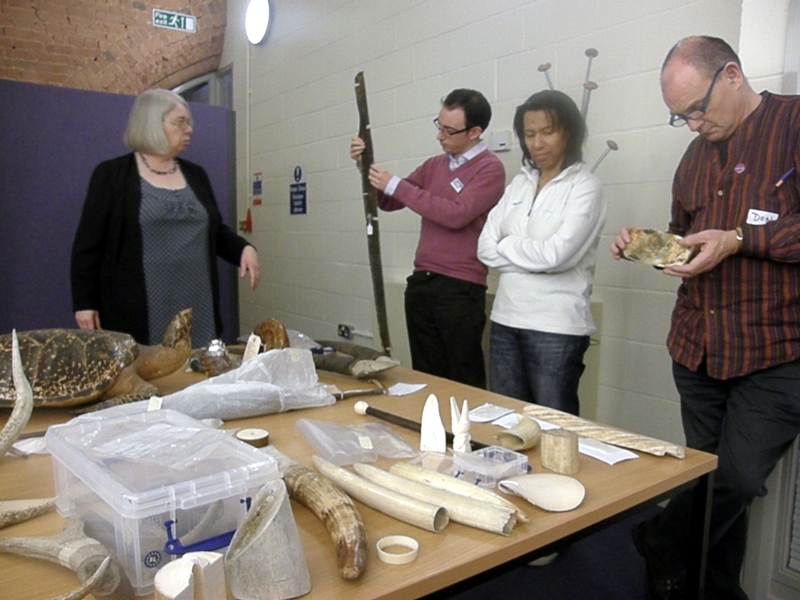 After a coffee break and getting to know each other, we learnt about our next material: Ivory. 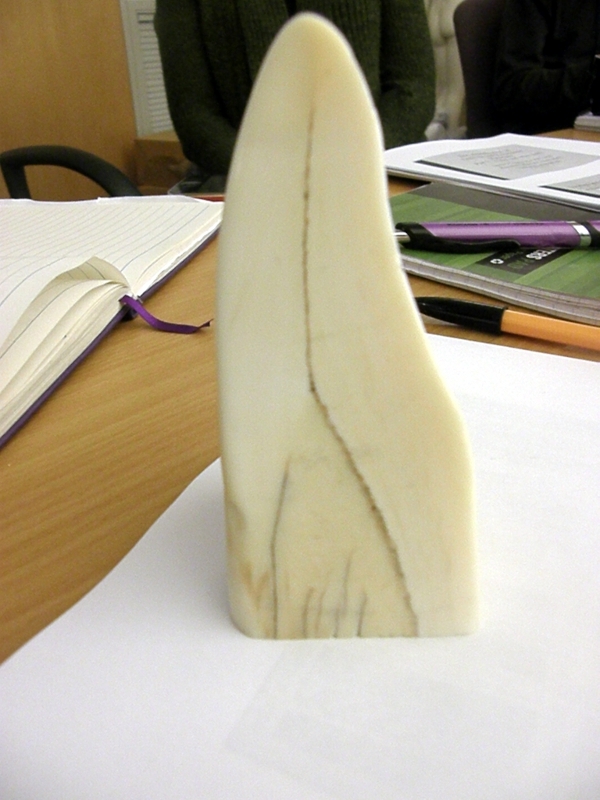 Ivory is a word used to describe any animal material which is dentine in origin. The most well known ivory is that of elephant. However, many people have trouble identifying it. 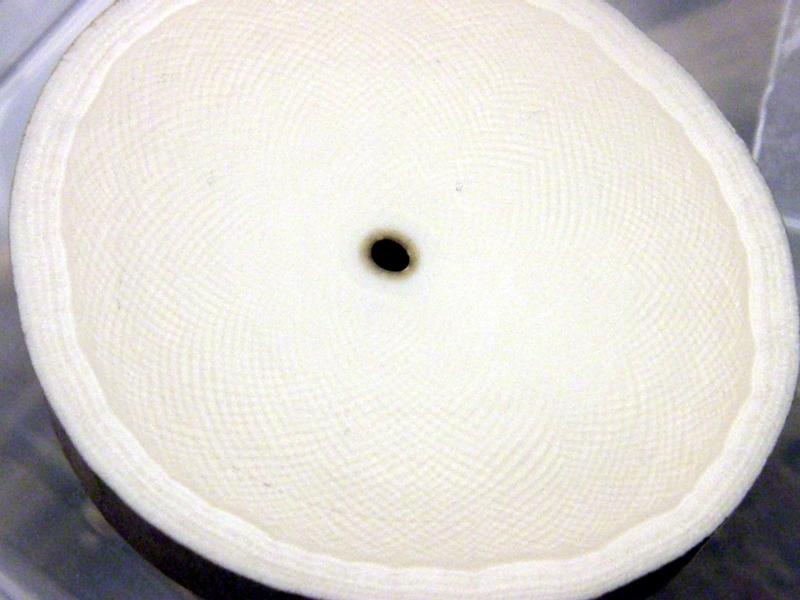 If the ivory has been fashioned into an object, has been broken or cut down the middle, then sometimes a pattern called Schreger can be spotted. Schreger pattern is made up of intersecting lines that change in colour when hit by light. They appear at convex and concave angles. 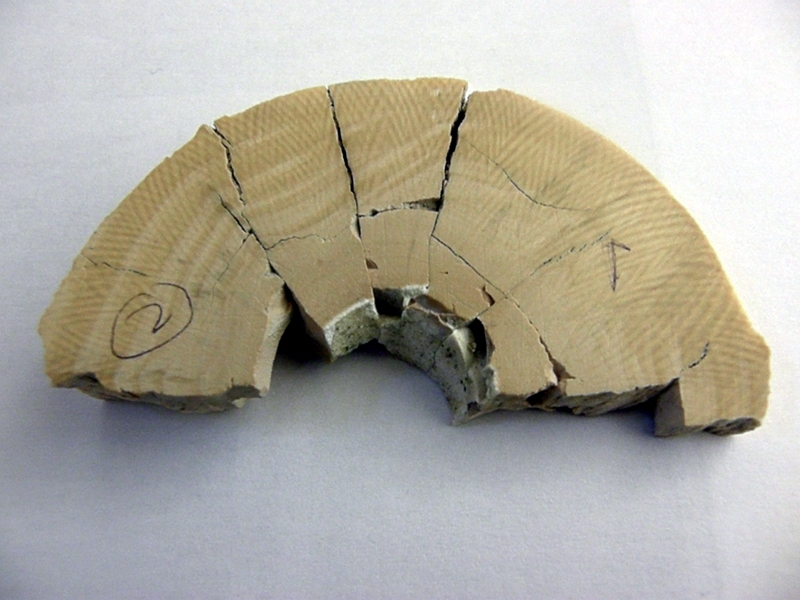 Below is a broken piece of elephant ivory displaying this pattern. In elephants, the angle Schreger patterns is obtuse, while in mammoths and other extinct Proboscideans the angles are acute. Schreger lines won’t be of much help if you have an intact elephant tusk, however. 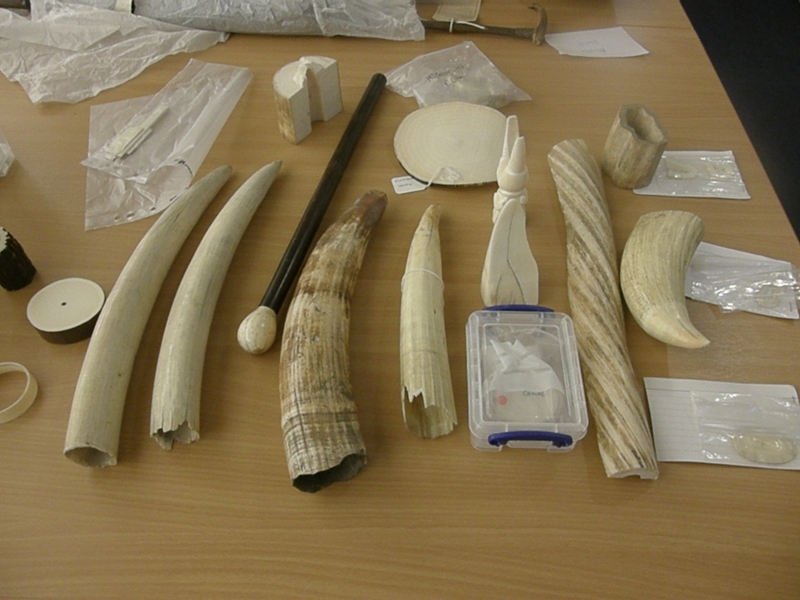 Elephant tusks are often confused with the incisors of hippos. They are similar in shape, and in younger elephants, also in size. There are differences that can point to clues though. 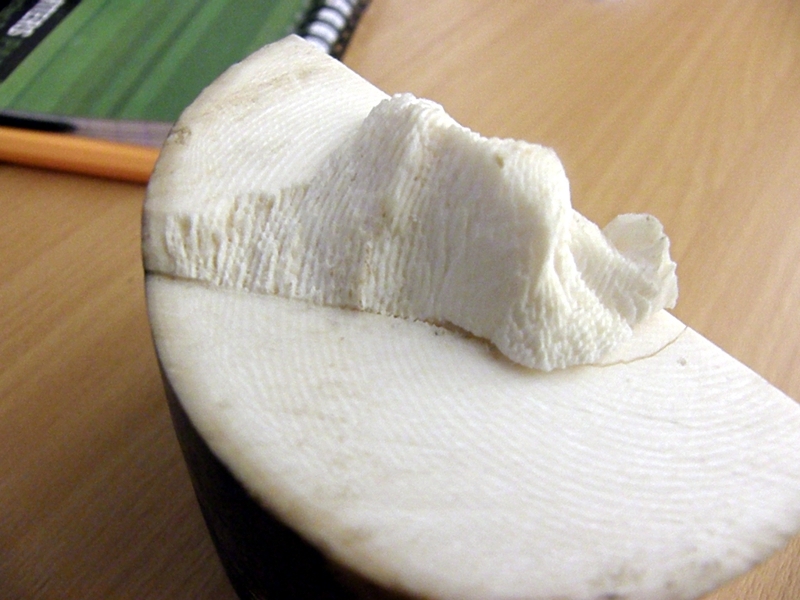 Elephant tusks tend to be more oval in shape, while hippos are much more round. Hippo tusks are also bent at more of an angle, and have an inner commisure. 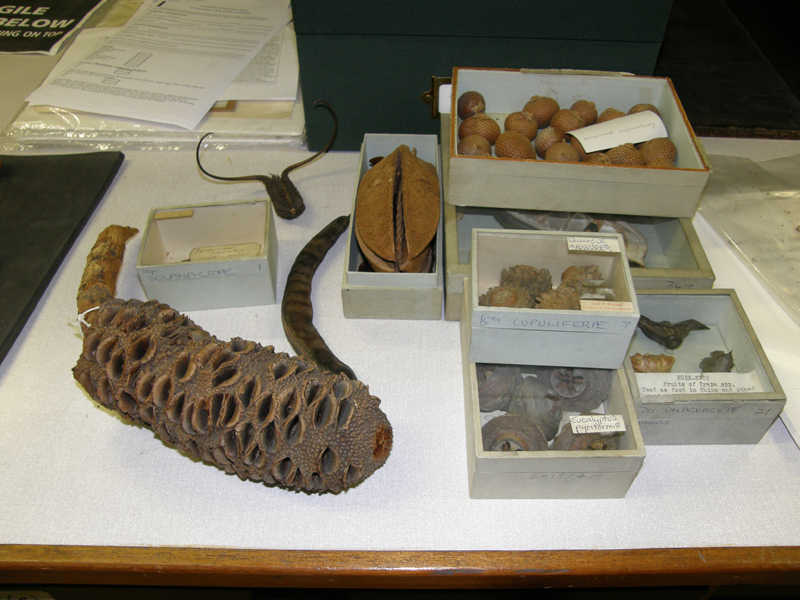 We also had a lecture on other organic substances, for example whale balleen, which was used in the past to shape corsets and other articles of clothing. 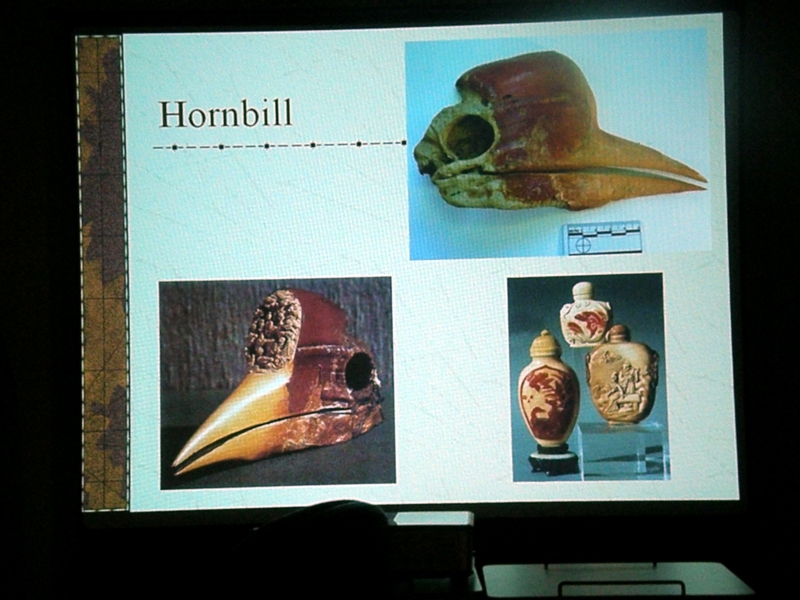 Tortoiseshell, vegetable ivory, hornbill casques were also discussed. On the second day, we were given a practical. 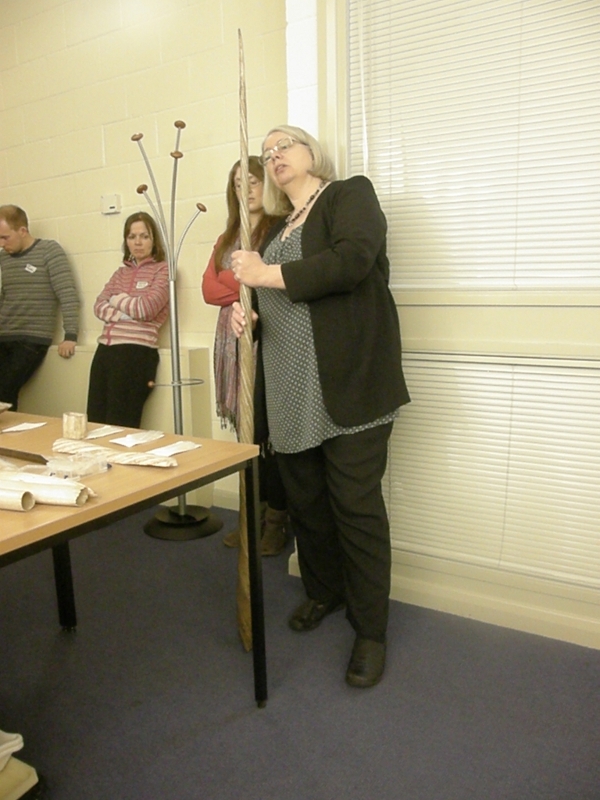 We were split into groups of two and each of us was given a tray of items and a microscope. Using the information we learnt and the microscope, we has to discern what each object was. A task that was not as easy when the animal substances were fashioned by people into objects! And of course, there are always very good fakes out there. 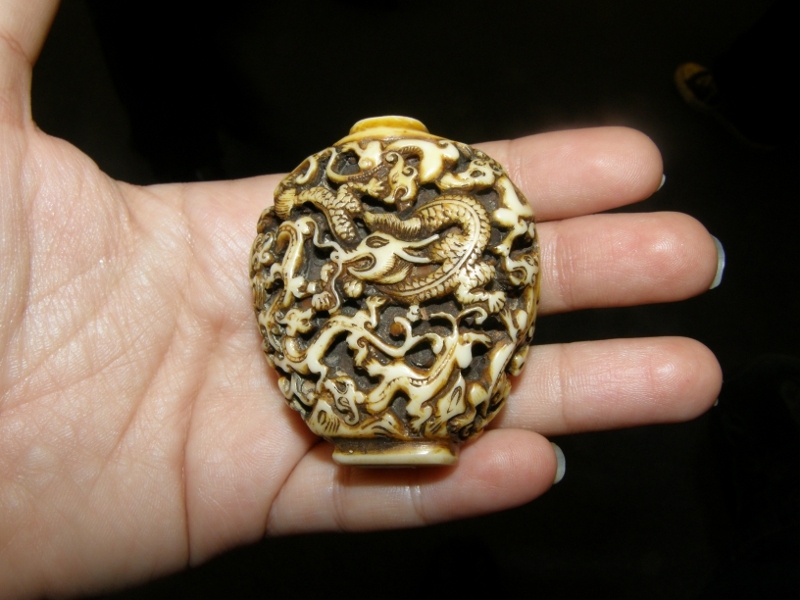 This bottle was made entirely of resin, but someone tried to pass it off as ivory. If you’d like to learn about this subject in more detail, then this PDF is a great place to start. Don't even think about it, human. 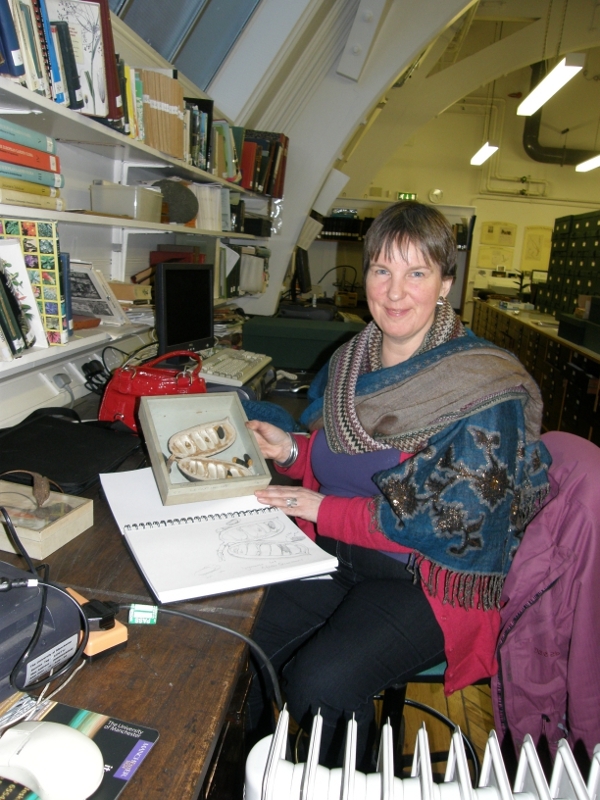 On Wednesday we had a visitor the herbarium-Moira Carter. She is an artist who has worked on the Iraqi Flora Project at Kew Botanic Gardens. The previous day I had gotten out a variety of unusual looking seed pods for her to draw. Drawing of a horn nut, and unusual looking seed that looks very much like a bull’s head. 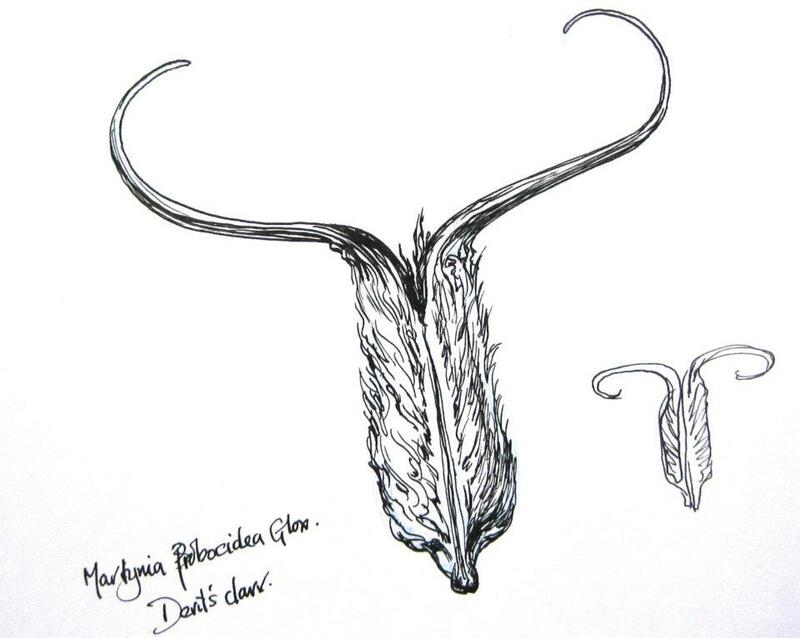 You can see Moira’s illustrations for the Iraqi Flora Project here. 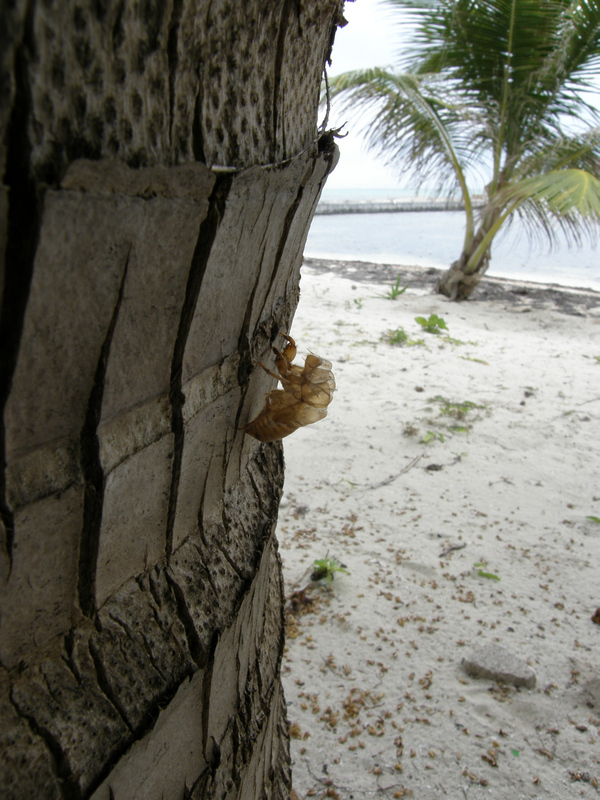 The photo above is a picture I took last year in Belize of a molted cicada skin. This is the husk the insect leaves behind as it finally emerges as an adult insect after its long life cycle. Despite the fact that I constantly heard cicadas while living in Belize for 13 years- I’ve only ever seen two adults. The insects are notoriously good at hiding themselves. More often, I’d come across these shed husks on the side of tree trunks. The noise, however, is ubiquitous. Cicadas create the loud clicking noise using a drum-like structure on the side of their abdomen known as a tymbal. This structure vibrates rapidly and can cause clicks so loud they have been recorded in excess of 120 decibels- about as loud as most rock concerts. The noise can be heard for miles. This serves one purpose- to attract females. After mating, the female carves out slits in the bark of trees then lays eggs in them. When the eggs hatch, the nymphs drop the the ground where they burrow into the soil, where they stay for years. Different cicada species have differing lengths when it comes to how many years they spend under the ground. This is perhaps the most mysterious part of the cicada’s life cycle. 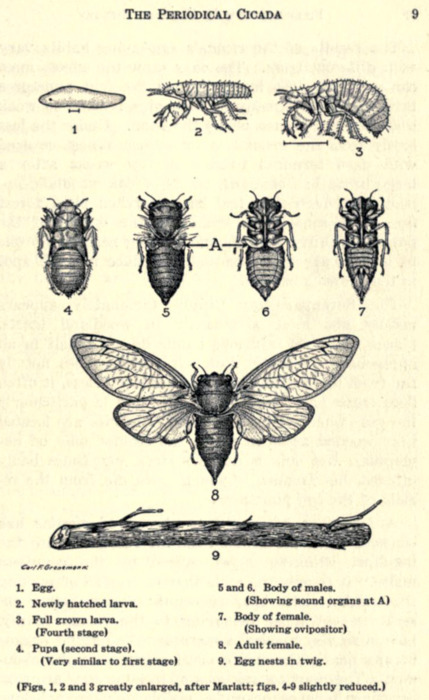 The number of years between the cicada nymph burrowing into the soil and its emergence as an adult is often (but not always) that of a prime number. 2,3,5,7,11,13 and 17 year life cycles have been recorded- all prime numbers. It is not known why the breeding cycle often revolves around prime numbers. One theory is that it is harder for a natural predator to predict the cicada’s emergence through such irregular timing. The cicadas also all emerge at the same time. This is also thought to be a evolutionary advantage against predators, as thousands of cicadas emerging at once makes it harder for predators to eat them all. 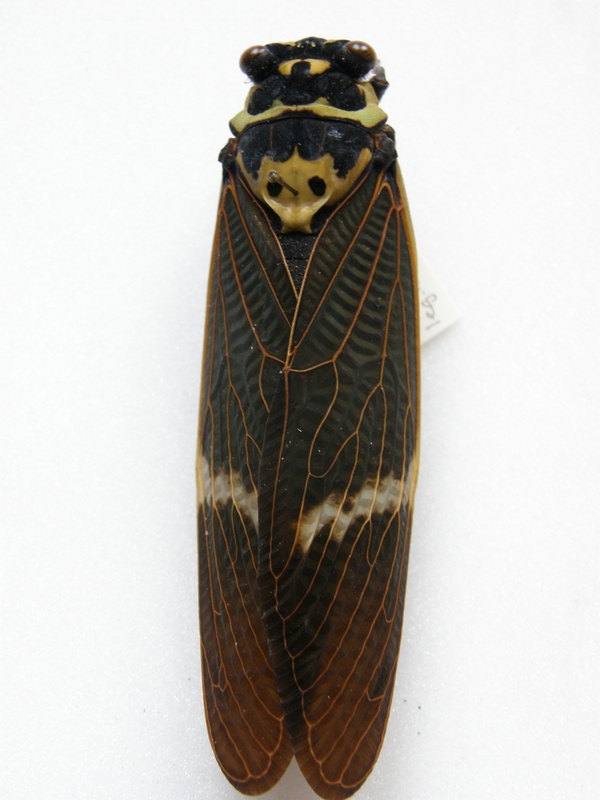 Manchester Museum has quite a large collection of cicadas, most of which were collected by Herbert Stevens, a tea planter who lived in India. 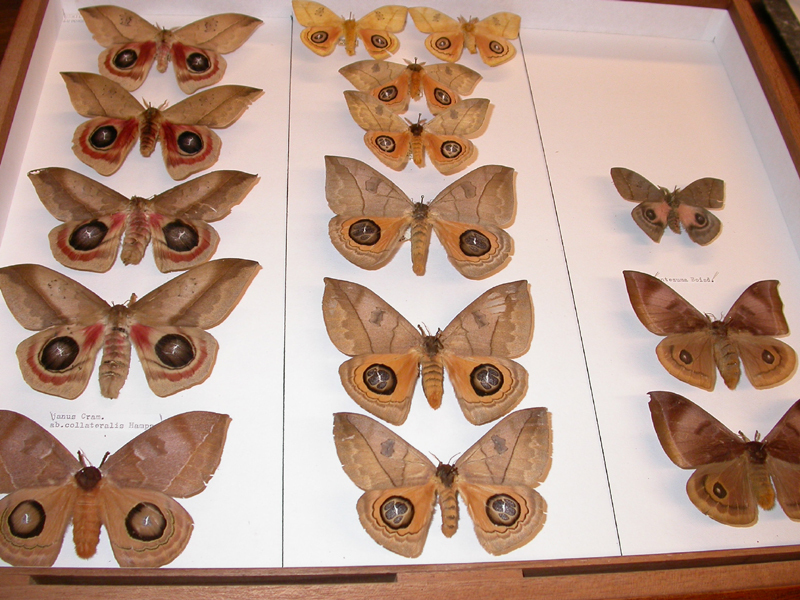 I’ve finished documenting the entire collection, along with the Fulgoridae (lantern bugs) Stevens also collected. 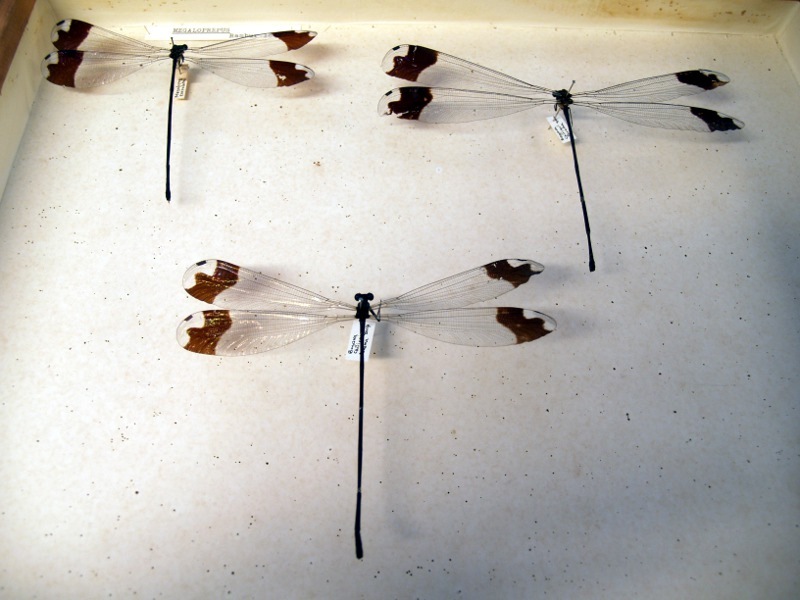 Other specimens of note were those collected by Allan Brindle, who was Keeper of Entomology at The Manchester Museum from 1961-1982. In 1942, Brindle was called up to the Lancashire Fusiliers, where he was quickly transferred to the Intelligence section due to his ability to speak many languages. He was posted in India, where he collected many specimens of insects during his service there, including some of the Museum’s cicadas. 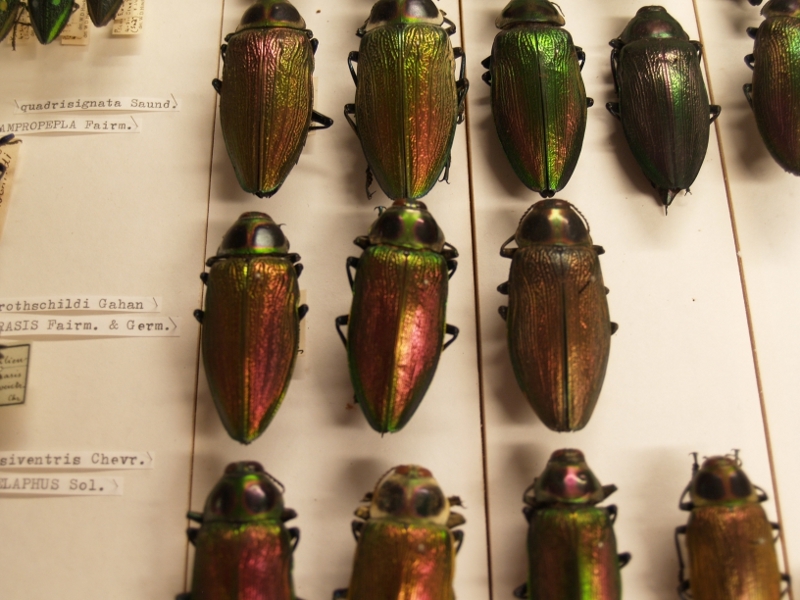 A few weeks ago, The Manchester Museum held a Big Saturday event called “Bug Art”. 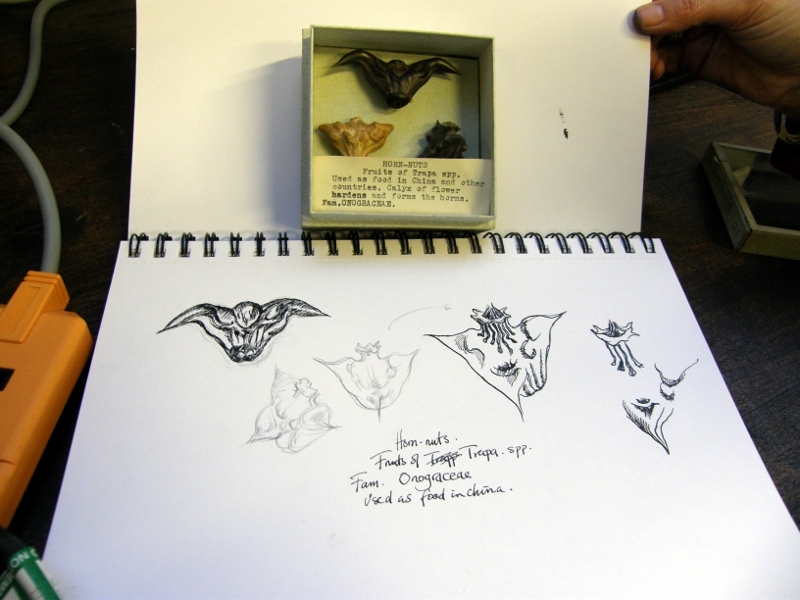 Art students from Stockport College had been working closely with the entomological collections to create insect based artwork. Two of the students focused on cicadas. 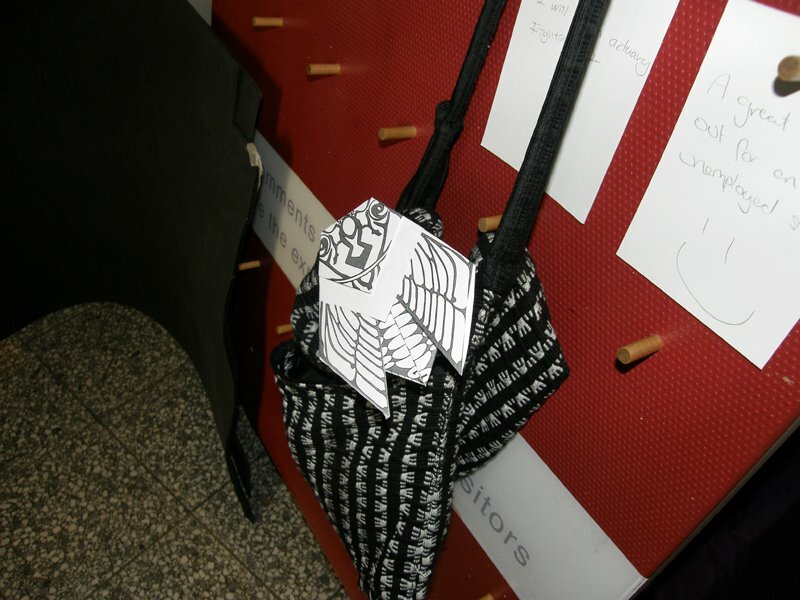 One of them created a template to “make your own origami cicada.” It was a big hit and I had to give it a try! 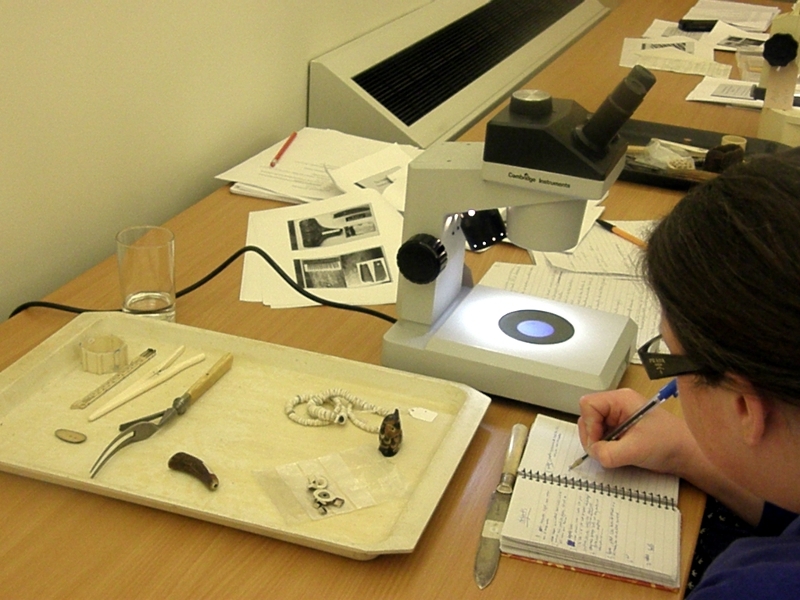 As well as the art, we curators had insect specimens out on display. The cicadas were actually a big draw, with many people wanting to know more about what they were, where they were found and the mysterious complexity of their life cycle. I enjoyed myself and was pleased that visitors enjoyed learning about these beautiful insects too.